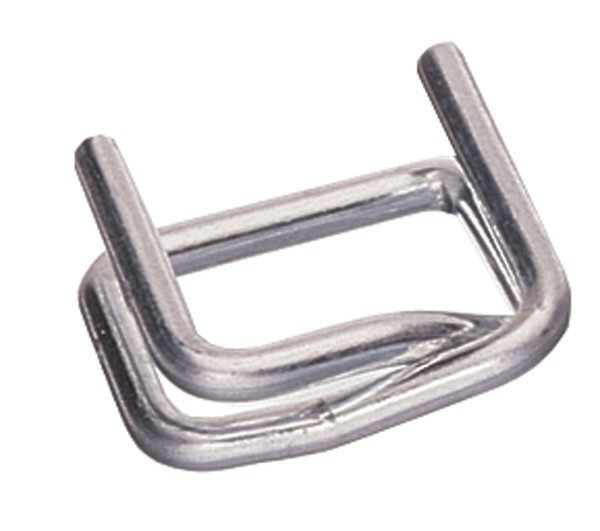 Galvanised Metal buckles are available in a variety of different sizes to meet your needs and expectations. The buckles feature a galvanised surface that is weather resistant making them ideal for goods in transportation. The buckles are suitable to be used with polypropylene strappings, woven card polyester strapping, composite polyester strapping and hotmelt strapping. Designed to keep strapping in place so that pallets, boxes and parcels don’t come loose. Made using high quality materials for a strong and reliable finish.